Teachers of English need not only to have a good productive command of the language, they also need to know a good deal about the way the language works. 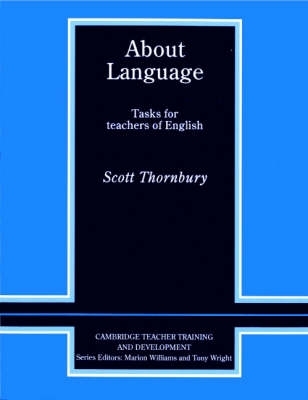 This book asks: 'What is it that a teacher needs to know about English in order to teach it effectively?' It leads teachers to awareness of the language through a wide range of tasks which involve them in analysing English to discover its underlying system. The book consists of 28 units, each containing around ten tasks, plus a diagnostic introductory unit. Units start at phoneme level and progress through words, phrases and sentences on to complete texts. Task-types include recognition, categorisation, matching, explanation, and application tasks. Throughout the book, the language is illustrated wherever possible from authentic sources, so that the teacher can be sure that the English being studied represents current usage.